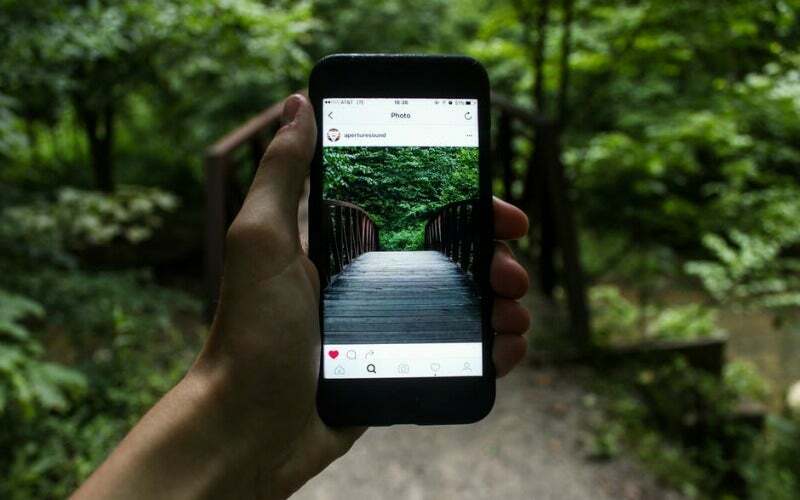 If you have a public Instagram account, then anyone else with an Instagram account can currently comment on your photos. That's great sometimes, but as we all know, the internet is can be a pretty dismal place, and letting anyone comment on your pics can occasionally (or not so occasionally) mean that you get a bunch of abusive or offensive comments on your pictures from a bunch of strangers. To help combat that abuse, Instagram (thankfully) added a new feature that allows you to customise who's allowed to comment on your pictures. 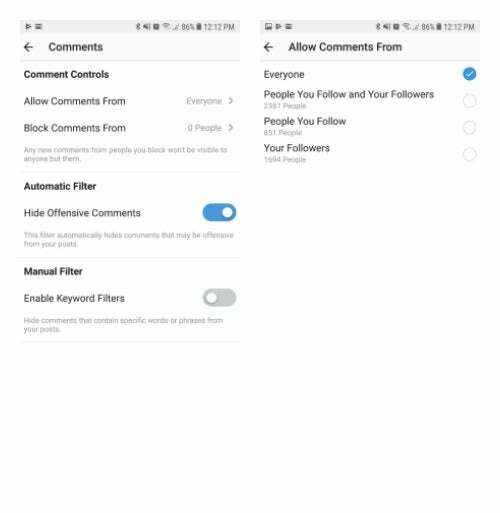 To limit who can comment on your images, you want to go into the Options menu within the Instagram app and then scroll down to Settings. Within the Settings menu, you'll see a section for Comments. Tap on that, to go into a more detailed Comment menu. You can set your account up to allow comments for Everyone, or limit things to just People You Follow and Your Followers, People You Follow, or Your Followers. You can also block individual people. For instance, if there's that *one guy* who always leaves something obnoxious on your posts, you can block them in your comments. But here's where it gets interesting: They won't know they're blocked, so they can keep leaving those crappy comments just like they always have, but those comments won't be visible to anyone but them. That particular feature should do a lot for harassment on the platform. If you've ever tried to ditch an internet troll, when no one responds to their comments, after a while, they will just walk away. If you just block them, that often leads trolls to move to another account to continue their harassment. The Block Comments feature is kind of the ultimate move since the troll won't be able to bother anyone, but they also won't realise they aren't publicly posting whatever obnoxious thing it is they have to say. The new comments feature is part of an update Instagram rolled out today with other minor bug fixes and improvements. If you don't see the new option for controlling your commenters, update your app and it should be there.